British rock band ignores calls to boycott Israel, confirms summer concert in Tel Aviv. British rock band Radiohead has confirmed it will perform in Israel in July, ignoring calls to boycott the Jewish state. 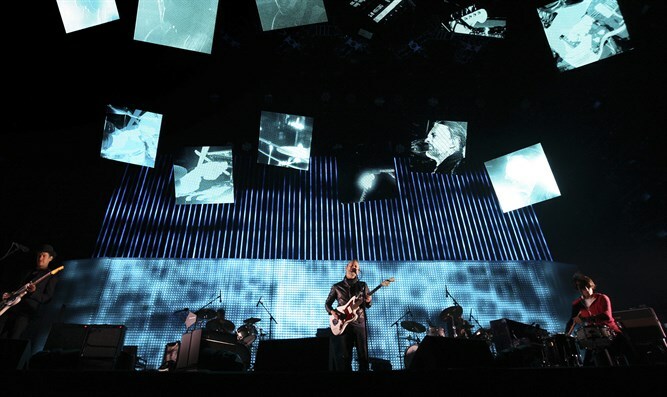 "Radiohead will be playing at Park HaYarkon in Tel Aviv, Israel on Wed 19 July. Tickets on sale now," the band wrote on its official Twitter account. Reports of the band’s Tel Aviv concert emerged earlier this week. Radiohead became popular in Israel after a version of its song “Creep” was featured in a 1993 commercial for the Israeli fashion brand Castro. The group performed in Israel that year, and again in 1995 as the opening act for R.E.M. In scheduling a concert in Israel, Radiohead is withstanding pressure on international artists to cancel their shows in the Jewish state. Many of the calls to boycott Israel have come from Roger Waters, the former Pink Floyd star who is notorious for his anti-Israel and anti-Semitic rants and who has repeatedly condemned his colleagues who associate with Israel. In November, Waters wrote an open letter to electronic music duo The Chemical Brothers, urging them to cancel a concert in Israel. Other artists he has attacked include Jon Bon Jovi, Alan Parsons, the Rolling Stones, Neil Young and actress Scarlett Johansson.